This book addresses a genuine problem in white American Evangelicalism: an attitude that says (though usually not in so many words) “serious racism doesn’t really exist anymore, you lazy, over-sensitive whiners.” However, for a book with “a new way forward” in the title, it offers relatively little practical help in dealing with the issue (just some “how do you think you can help fix this?” questions in the discussion exercises). 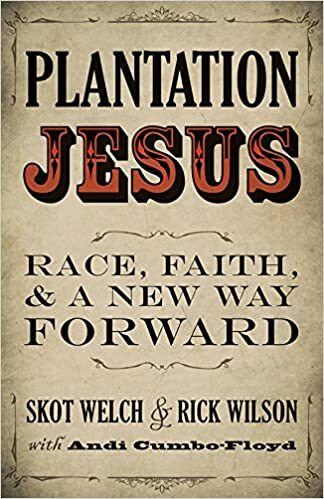 The book as a whole focuses almost exclusively on getting white Christians to acknowledge that they are cavalierly ignorant of systemic racism and shamefully benefited by white privilege. The lack of specific applications left me with little more than the (I’m sure unintended) message that “you and your ancestors are bad and you should feel bad.” Add to this the occasional poisoning the well argumentation (implying “if this is painful for you or you disagree with this it’s because you’re racist/ignorant”), and I just wasn’t at all impressed (and slightly worried about writing this review). Basically, I think that these authors do have important things to say (I have observed and confronted serious racism in both churches I have pastored), but I don’t think that those things were said in a helpful way. Next Article Take that, Mafia! Shame this didn’t explore some practical solutions and I’m never keen on “you and your ancestors are bad and you should feel bad”- very unhelpful and a little cruel to blame people for something they haven’t done in my opinion. Anyway, I think this was a really good review. Well that sounds most unhelpful. I don’t see how that question can be dismissed out of hand either. And certainly, I can’t see why it would be helpful to assume the worst.